As questions of jurisdiction play out over the coming months, I can't help but think that the air Canada's founders were breathing while enacting our constitution in 1867 was chemically different than the air I'm breathing as I write this article and the air you're breathing as you read it. Last week, several New Brunswick students from St. Thomas University presented the idea of climate change and air pollution warning labels on gas pumps to the City of Fredericton. The proposal was well-received by a committee of councillors but some have expressed reservations with respect to the municipality's authority to pass it into law. After hearing the presentation, Deputy Mayor Eric Megarity suggested that the provincial government may have to be consulted to determine whether the labelling by-law is within the city's jurisdiction. He added "Above and beyond that, I think it's a great idea." Megarity acknowledged that "we can't turn the taps off tomorrow" to address climate change but said "these little small steps are the ones that are going to get us there." Councillor Marilyn Kerton was similarly supportive. "I like it; I think it's a great idea," Kerton said. In asking staff to produce a report to explore the merits of the labels, she added that "I'd like to take it a step further" by sharing the idea with the Cities of New Brunswick Association, the Union of Municipalities of New Brunswick and the Association of francophone municipalities. "If it means there needs to be changes to the legislation, we could use those three provincial bodies to help get this thing passed." Our Horizon, the national not-for-profit organization that launched this campaign, has produced a 40-page legal report for councillors and staff that explores the question of municipal jurisdiction. While the document is Ontario-focused, its analysis would be of interest to decision-makers in cities and towns across Canada. Unfortunately, the powers of municipalities vary from province to province. Canada's Constitution Act of 1867 divides legislative powers between federal and provincial governments. Municipalities are treated in our constitution as a responsibility of the provinces; they aren't treated in the same way as these other levels of government and instead derive their powers from provincial legislation. Cities and towns need to ensure that the by-laws they enact are grounded in such legislation and do not conflict with provincial or federal laws that may touch on similar subject matter. Historically, municipal legislation across Canada has been very narrow and prescriptive. Councils were essentially given a laundry list of specific powers with which they could pass by-laws. This started to change as case law and legislation began to reflect the social, economic, and cultural significance of municipalities. Judgments from our courts now show greater deference to decisions of council and legislation in provinces across Canada has been amended to grant broader, more permissive powers to municipalities. Unfortunately, the province of New Brunswick lags behind much of the rest of Canada in this regard. 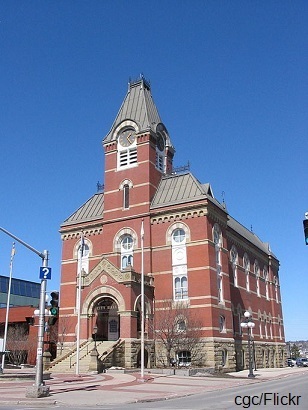 The good news is that New Brunswick's Department of Local Government intends to introduce reforms to the province's municipal legislation. Newly elected premier Brian Gallant's promise to modernize municipal legislation also bodes well for communities that are hamstrung by dated legislation. This legal environment may vary the labelling proposal's pathway into becoming law. If a council wishes to pursue the idea but is not confident it has the authority to do so under its existing powers, it can instead request that the province amend its municipal legislation to specifically empower communities to pass the by-law. While this does not ultimately thwart the students' efforts, it does add another layer complexity to their advocacy. Fortunately, the students are committed to leading the charge on this issue. Nicholas Decarie, one of the students that's advocating for the labels told a CBC reporter, "I am fully committed to this for as long as it takes." The climate change and air pollution labels should not be considered controversial. Scientists have identified that our burning of fossil fuels is changing our climate. Mark Carney, economist and former Governor of the Bank of Canada summarized the ramifications for fossil fuels by recently observing that "the vast majority of reserves are unburnable." Many have called this the greatest challenge of our time. All the labels do is require the retailer of a fossil fuel product to disclose the risks of its use to the consumer. You can learn more about the impacts of the labels here, here, and here. New Brunswick just experienced an election where shale gas and pipelines were divisive issues. As far as climate change interventions go, this labelling proposal is perhaps one of the least restrictive policy options a government has at its disposal. The students are not asking to ban the extraction of fossil fuels or stop the infrastructure that transports it; they're asking for a simple sticker on a pump. Being just a sticker, it's also perhaps one of the least costly interventions on the planet. The idea is a non-prescriptive, market-friendly approach to change. 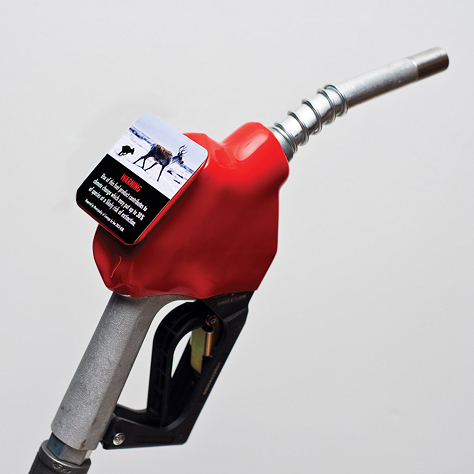 But perhaps the question we should all be asking ourselves is this: If we can't find the courage to put even a simple sticker on a pump, what will we tell our children and grandchildren who will be suffering the consequences of our gross inaction? Knowing what we now know about this issue, it would be unconscionable to not pass these labels into law. As questions of jurisdiction play out over the coming months, I can't help but think that the air Canada's founders were breathing while enacting our constitution in 1867 was chemically different than the air I'm breathing as I write this article and the air you're breathing as you read it. In 1867, the concentration of carbon dioxide in our earth's atmosphere was roughly 290 parts per million (ppm). We're now at 400 ppm; a figure that's already well past the danger zone. What would our founders say about our record of inaction on one of the greatest challenges of our day? The time to act is now. Since launching this project in 2013, I have received inquiries about it from communities all over the world. The idea is primed to go global. I applaud youth for bringing it forward in Fredericton and am encouraged by councillors who are actively considering it. It is leadership from Canadians that will inspire communities around to the world to boldly face the greatest challenge of our time.